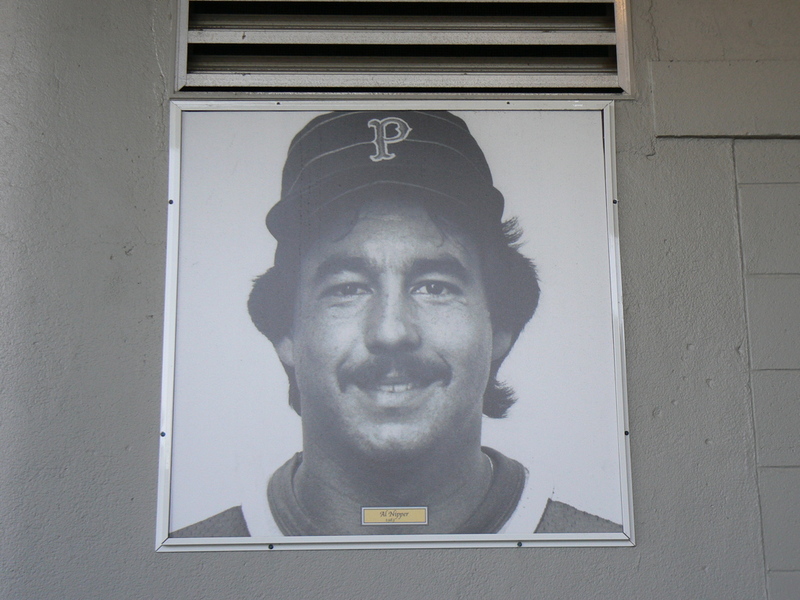 AL Nipper is a who threw balls for a paltry 18 games for the Pawtucket Red Sox in 1983. He was 24 years old. Nipper started 17 of those games, finishing with a 9-4 record. Tubular! He pitched four complete games. Nipper gave up eleven home runs during his tenure in Rhode Island. One of them may have rolled underneath your mom's car. 1. Al Nipper's PawSox ERA was 4.45, placing him third on the team. No one on the team had an ERA below 4.00. Unsurprisingly, the team went 56-83 that season. By the way, the starter with the best team ERA that year was Oil Can Boyd. 2. In 1984, Nipper was obviously on the Boston team. They played an exhibition game v. the Pawtucket Red Sox, which was a thing that happened back then. At this year's Hot Stove Party, a fan asked M. Tamburro if this was a future possibility. That would be a firm 'no'. Too many reasons to list, but no way. Al Nipper's mural is located in the upper portion of the home plate tower, so go raise a beer can to the man, the myth, the mustache. And Al shall raise a beer back.